This sounds really good! I’ve read a depressingly small amount of fiction with a Muslim main character so this should definitely go on my TBR. I was underwhelmed by Shatter Me and never went on to read the rest of the series (I think maybe if they happen to be in at the library and nothing else is jumping out at me I might pick them up, but I’m in no hurry!) so I’m encouraged by the fact you liked this even if you didn’t like Shatter Me. Ahhh I want this book so much, and your (excellent) review hasn’t helped my wanting 🙂 I will have to get my hands on a copy. This was really an interesting take on Mafi’s part. From her dystopian writing to contemporary. (I have read Shatter Me series and I have the opposite experience from you, hehe, I did enjoy it, especially Kenji funny guy.) It is quite a steer. 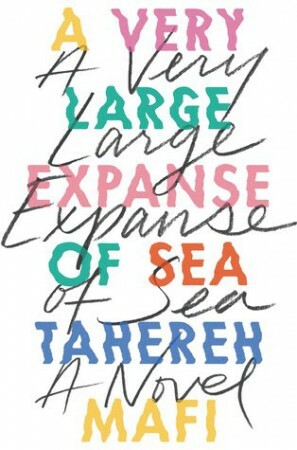 I have this in my tbr, and I am happy to see the change in you too enjoying this book by Tahereh. I hadn’t heard about this book but was curious to read more from this author (even though I never even got through the first books of the Shatter Me series) so glad to hear you enjoyed it. I agree, it does sound a little like a self-insert by the author but that means the story is no less good and it’s probably more that the author’s own experiences helped drive her to write this book but I don’t know as I’ve not read. I’ve heard brilliant things about this author, so glad you enjoyed it! I’ve heard really good things about this book so it’s nice to see them backed up! Adding to my TBR now!